Wow-e-wow, we have been logging some mileage lately. 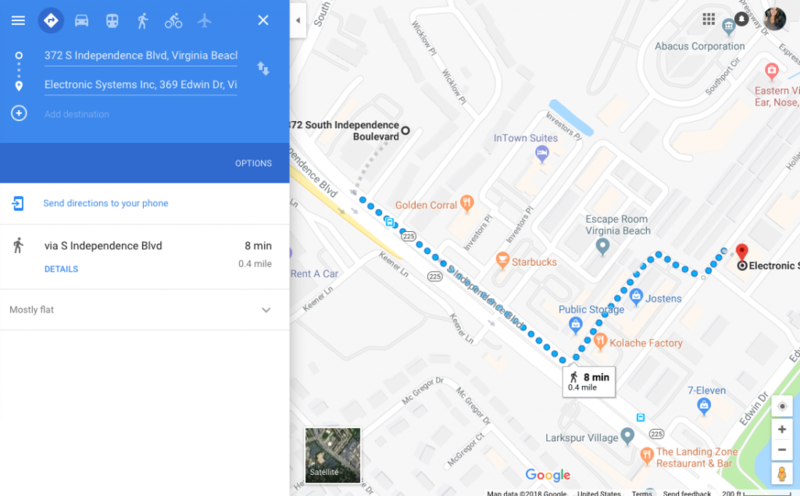 A lot of work comes from the Virginia Beach/Hampton Roads area, but lately the Jpixx team has been all over the place for our friendly neighbor and client Electronic Systems Inc.
Our first day of filming was at their Virginia Beach location, just a short drive away from our new headquarters. You know we brought the A-Team of gear – DSLRs, Lights, the MoVi, and Drone! On a tight deadline, our goal was to get a multitude of shots at a multitude of locations. Everyone was eager to help out and be on camera, which made our job smooth sailing. Marketing Director Jim Haney was an awesome team leader to have throughout the process- from tours, to shot ideas, to just pure energy. Not to mention, we received some dope swag bags for the quick turnaround. 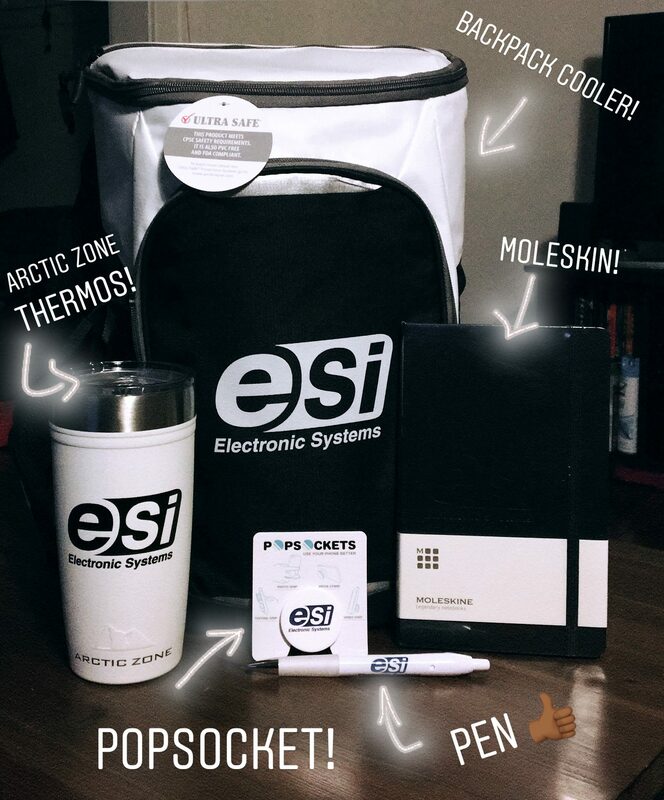 ESI has some fantastic, branded goodies! 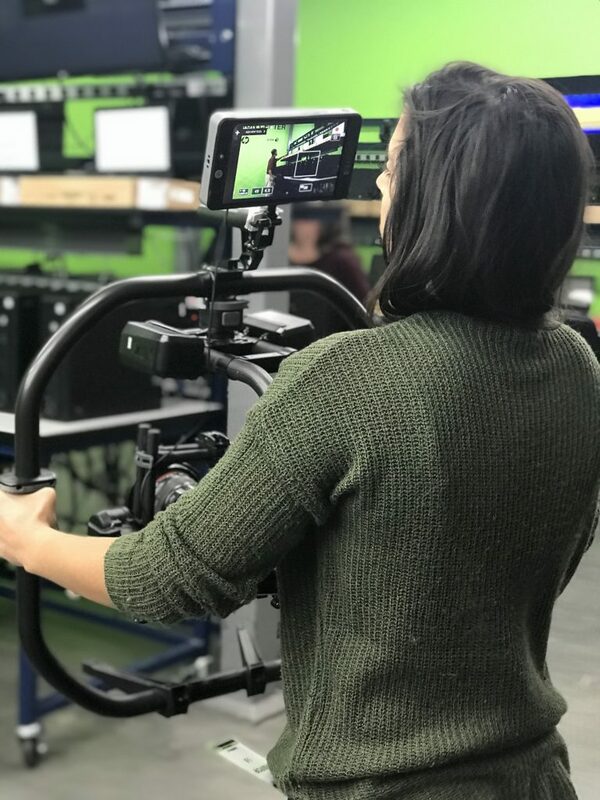 Karla put in some work on the MoVi, getting better and better with each use! 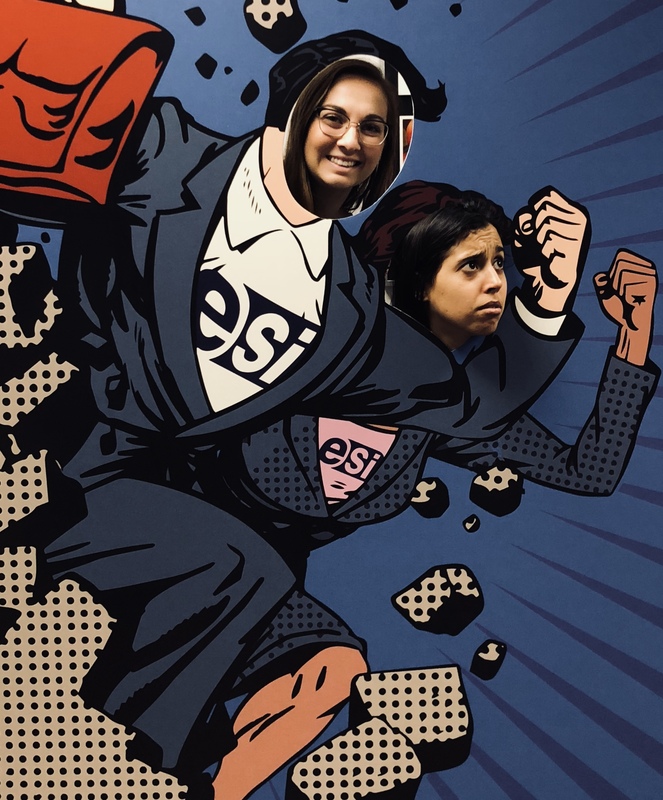 Plus that Whole30 diet with bar classes make her the office’s Hercules. She has absolutely been crushing it, as our newest full-time employee. The gear we use is not feather-weight, you need to be able to lift about 30-50 lbs at any given time. Loading and unloading our cars at shoots is the fun part… said no one ever. But, despite the fact the equipment is hefty- the results are phenomenal. The smoothness of the MoVi is just unreal!!! 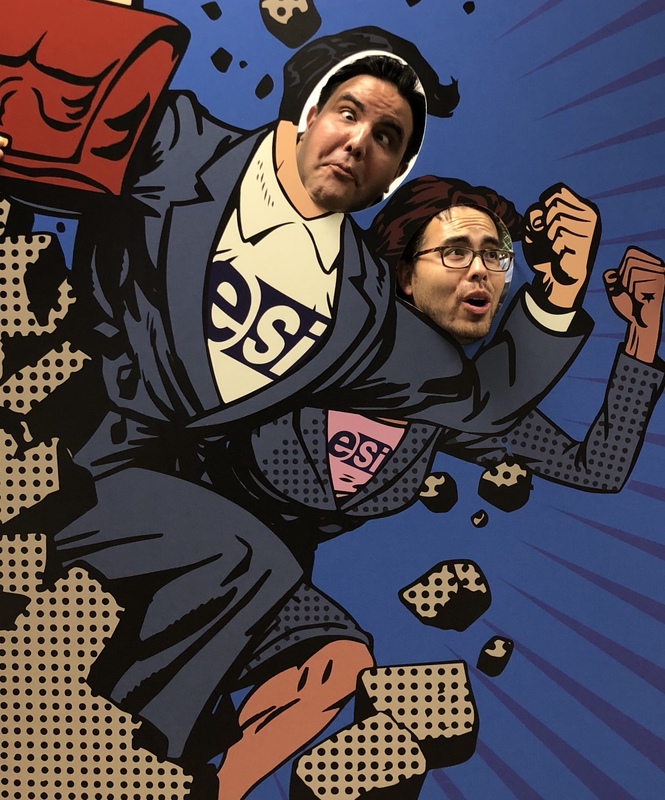 Everyone at ESI was very friendly and even excited to be on camera. We captured everyone under the sun including technicians, receptionists and project managers. They all rock and love what they do (it’s pretty obvious when you talk to them). Cannot wait to see what they have planned for their Open House this Fall, we want to see that cool 3D printer in action again! Thank you Electronic Systems Inc. of Virginia Beach and Ashland!!! 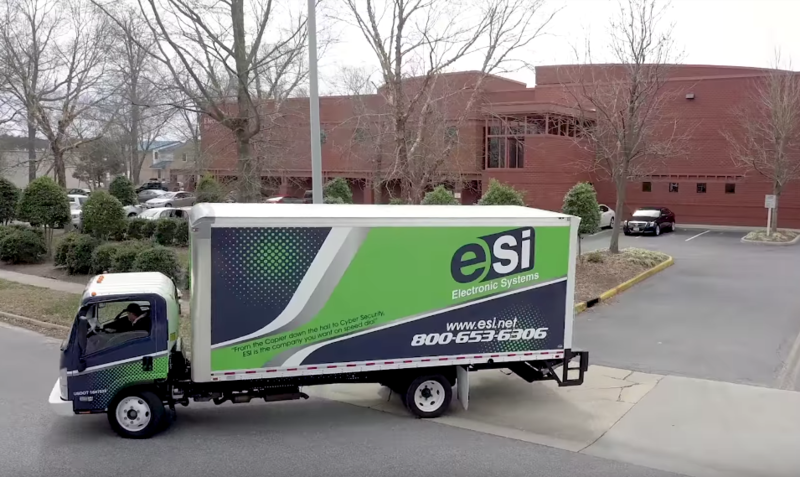 If you haven’t already done so, and even if you have, take a look at ESI’s new company overview video!!! With an amazing job all around from ESI, Jpixx, and more- its worth the view! Click the link and maybe you will hear a familiar voice OR see some familiar faces.